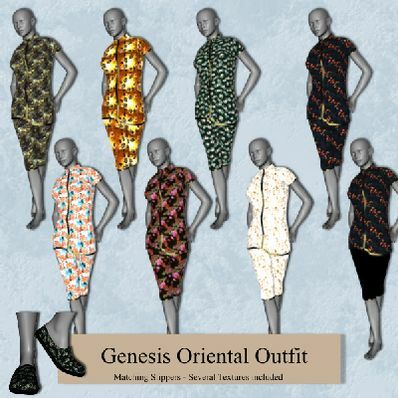 An oriental Outfit for Genesis for use in Daz Studio 4. Pants, Tunic and matching slippers. Thank you can really use oriental outfit with my new oriental textures. Thank you so much. Love the slippers, you are the best!